1. Starting with when India fell in love with her. Not me, because I didn’t see this, because stupid Indian satellite channels charge like $20 a month so I can’t see TV ads. But other people! 2. After a series of ad campaigns, of course her big break was in Rab Ne. Which, let’s be real, is mostly Shahrukh’s movie. 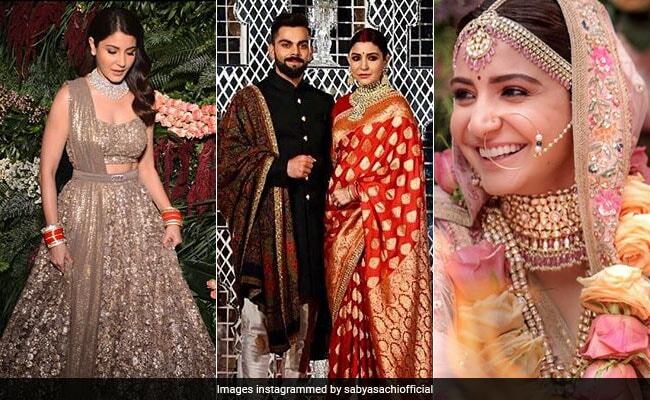 But Anushka does a really good job with what they gave her! 3. After Rab Ne, it took her a while to get a film that was equally good of a showpiece. But Baand Baaja Baarat definitely qualified! Her character was layered and interesting, she had all sorts of fun scenes to play, and this song is awesome! Especially her entrance at 1:25. 4. I have my issues with Jab Tak Hain Jaan, including some with Anushka’s character (so spunky! Why so spunky? ), but I have none with this song. And, yes, it is mostly because Shahrukh in scruff looks so good, but it’s also because of her perky happy smile. And, as we have all discussed in the comments many times, clearly Shahrukh should have ended up with Anushka! 5. I have no real issues with Matru ki Bijli Ka Mandola. I know most people didn’t like it, but I really really did! 6. I like her because she is an old-school instinctive teenage actress. Just like Kajol and Madhuri and Hema and dozens of others, she was discovered as a teenager, brought in for her first movie with no training, and did it all on instinct and on the job learning. 8. She picked her projects carefully, but even when they flopped (like her BBB follow-up Patiala House, which I LOVED), she was so cheerful and confident about it, and so willing to appear on talk shows and walk the ramps on fashion week, that she was still well-liked by the public. 9. She must be easy to work with as well, since she’s now been chosen for multiple big roles opposite big names, roles that could have been given to a more consistently successful actress, from Shahrukh in Jab Tak and Rab Ne and their next untitled film, to Akshay in Patiala, to Aamir in PK, to Salman in Sultan. 10. She seems to have engendered little jealousy in the industry, despite her success, being a friend to all and an enemy of none. 11. Even her less successful movies still gave us some wonderful songs. 12. This movie was fairly successful, but this song I think is probably going to last longer than the movie. Certainly I can’t seem to get it out of my head! 13. Speaking of her with Ranveer, this is almost tied with “Gallan Goodiyaan” for my favorite song from this movie. Largely because her chemistry with Ranveer is just so fun! 14. So long as I am talking dance songs, I better put in her very first dance song. 15. And with the other Khan. 17. I like that she is trying to get a Masters in Economics by correspondence while acting. 18. I like that she isn’t afraid to take long breaks between roles, instead of just signing everything that comes her way. 19. I like that she doesn’t apologize for wanting good roles in good movies, or pretend her career is just something she does for fun while waiting to get married. 20. I like that she has never apologized for her body, whether people say it is too skinny or too tall or too whatever else. 21. Even though Bombay Velvet is a terribly terribly inhumanly bad movie, I really love this song, mostly because of how it sounds, but also because of how she emotes through it. 22. And if we are talking songs that work mostly because of Anushka’s face, there’s also this! 24. And of course this, her very first reaction shot song in her very first movie, and she nails it! 25. And finally, the best part of her most recent movie, a brilliant performance start to finish. 26. I love how she founded her own studio and made NH10, a super female focused and feminist movie in every possible way, and made it a hit! Well, a qualified hit. Certainly better than anyone expected! 27. I love that her follow-up as producer was Phillauri, a completely different sort of film, that was still female focused. And had better songs! 28. I love that she filled her last “Khan” notch when she co-starred with Salman, and held the screen against him, in Sultan. 29. I love her for how she has handled her relationship with Virat Kohli. A marriage just for them, a big reception for everyone else, and then back to work, no post-marriage slow down for her. 30. And finally, I love her for producing and starring in Pari, one of the most interesting feminist films in recent years. This entry was posted in Uncategorized and tagged Anushka Sharma, Birthday, Star Birthday Posts by mredlich21. Bookmark the permalink. On the other hand, Kamal was a child star, right? So he has an unfair head start on all accomplishments. Totally my Bollywood girl-crush! I love Rani (my first favorite actress) and Vidya (so much respect and a really charming off-screen persona), but I would love to step into Anushka’s shoes just for a few days. She’s taken on the Bollywood world with such exuberance and grace (and business smarts) and she has the fairy tale romance combined with a grounded personality. Plus, she loves dogs and is building an animal shelter! I have yet to see NH10 all the way through or Pari (really looking forward to the latter), but, for me, she really hasn’t had a bad performance or made a truly awful choice in projects. They all seemed to make sense at the time and she made the best of them. I can’t wait to see Sui Dhaga (even with Varun in it) and her cameos in Sanju and Zero will be fun, no doubt. I didn’t know she has a Sanju cameo! I wonder who she will be playing? I think a lawyer or something? Oh, boring! I was hoping for something like his second wife or a girlfriend or something. Oh well, I guess that is nice too. This post reminded me that I really want to see Phillauri and Pari. I had kind of forgotten about them. I love that Anushka looks like a real person–of course a really fit real person–and she acts with her whole self. She’s pretty but not just another pretty face. I think Alia and she are alike that way. And I must admit I’m a total sucker for her and Shah Rukh’s chemistry on and off screen, and the way she seems to really like him for the control-freak/workaholic/dork that he is. Looking forward to more of her and Ranbir also. And I’d enjoy watching her opposite some different faces also–Rajkummar, Jim Sarbh, Ayushman. Ooh, or Irrfan (hope his treatment is going well). Quite possible she’s already acted with some of these and I missed it! Phillauri and Pari might fulfill your desire to see her with someone new. She is opposite Diljit Dosanjh in one and whats-his-face from the Bengali industry in the other, really interesting seeing her with actors who are from a different acting tradition than mainstream Hindi. Phillauri is so good! A bittersweet fairy tale with some gorgeous music, some feminist undercurrents and the adorable Diljit! I think I like her chemistry best with Ranveer (better than his with Deepika for sure). Also wouldn’t mind seeing her with Shahid again or Ranbir. And Jim Sarbh or Ayushmann would also be great! And I’d love to see her opposite Kangana in some kind of women-centric storyline. I have been saying I should watch Phillauri for months but there was always something else to see, but now I decided I must watch it this month. Bombay Velvet seems like a polarizing movie. It was recommended to me by the Bollywood Is For Lovers podcasters. I’m going to watch it after Munna Bhai MBBS so I can hit Sanju and Ranbir before the biopic comes out. I can’t believe Rab Ne Bana Di Jodi was her first film! She’s so confident in that and opposite SRK too, very impressive. Don’t, like, force yourself to watch Bombay Velvet. If you don’t like it, you will really really not like it, to the point of it being pure misery to finish it. So if the first 10 minutes don’t grab you, just stop. It’s not going to change after that. I’d say Wake Up Sid or Yeh Jawaani Hai Deewani instead for Ranbir, those are pretty guaranteed everyone-will-enjoy-them films, and good Ranbir performances. But certainly you can start with Bombay Velvet and just have those as back up in case you are a “this is pure misery and boredom” Bombay Velvet person. Oh, also Ae Dil Hai Mushkil, which would give you Ranbir and Anushka together. Happy Birthday Anushka. I love how she came from a non-film background but held her own (also, Thank you YRF) and didn’t really become Bollywood-ised, stayed her own person, married at the top of her game, an outsider at that (albeit super successful, most recognized etc but also madly in love with her), producing her own films. My favorite Anushka role remains Band Baaja Baaraat. Loved her chemistry with Ranveer. So that’s one couple I’d love to see more of. I always thought she’s been unlucky in terms of awards. A few years earlier she would’ve won a best actress for ADHM. She even missed out on best debut to Asin (well deserved though it was for Ghajini). She seems to have followed the Akshay system of “reward over award”. Her business savvy has made her one of the most powerful woman in the industry, Dips and Kangana and the rest can get the awards. Also, I think tomorrow’s question has to be Anushka related, don’t you? Either best role, or favorite co-star, or co-star we most want to see her work with. Something like that. Jiye Re is absolutely the best part of JTHJ! Well, tied with Shahrukh’s introduction. Yay, love Anushka, off-screen she is by far my favourite. In JTHJ, I feel that SRK suited Katrina’s character in the first half and then Anushka’s in the second half. “temporary lip enhancing tool” – lip fillers. 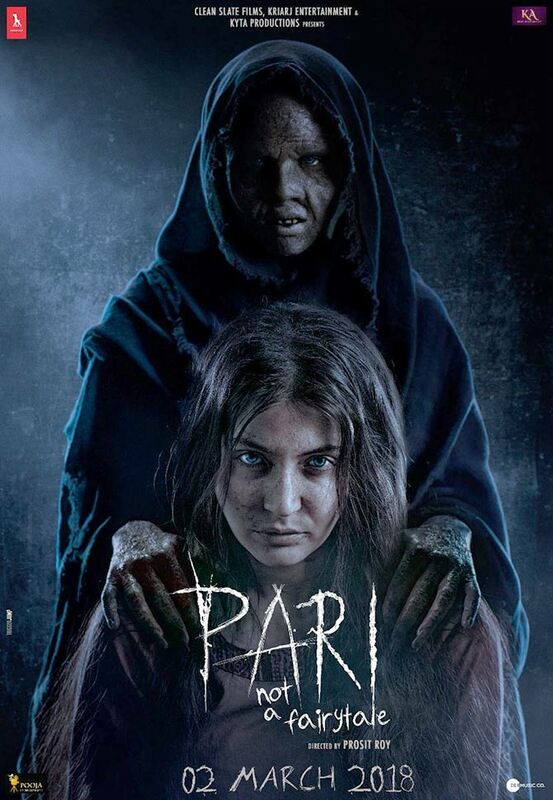 I am still yet to watch Pari, I like to watch her films but I’m scared that the horror will be far too much for me to handle. The horror of Pari is definitely too real. Not Anushka’s “Pari” character, but the very realistic way that the non-demonic patriarchy is shown. Men confidently telling women they are doing things to their bodies for “their own good”, TERRIFYING.